Feeling overwhelmed by the demands of daily life? 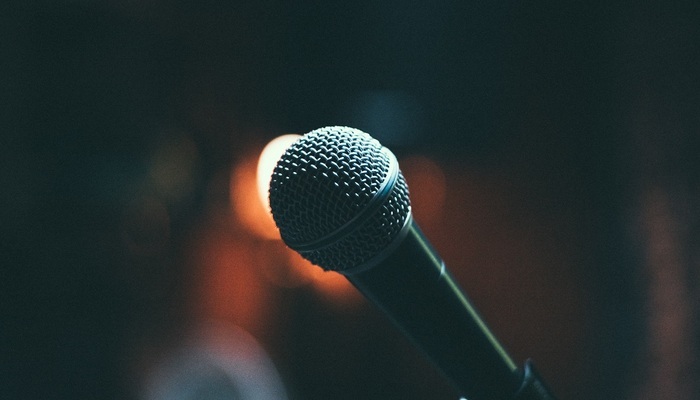 Local comedy nights in your community could be the perfect way to let loose and have some fun. Colorado is home to an excellent variety of comedy clubs, and here, we share a few of our favorites in and around Longmont. If you’d like to stay close to home, grab a bite to eat at Jesters Dinner Theatre and enjoy an improv performance by Front deRanged Improv Comedy Troupe. This group of comedians is sure to provide an evening of side-busting laughter, but their improv shows are often R-rated and not appropriate for the younger crowd. If you’re in for a uninhibited, unscripted experience, be sure to drop by for their next show at Jesters Dinner Theatre on February 17th. Doors open at 6:30 pm, and you’ll have a chance to browse the menu and order a meal or cocktail before the show begins at 7:30 pm. Boulder is just 15 miles from Longmont, and Bohemian Biergarten on Pearl Street hosts the Boulder Comedy Show every Sunday night. This show has received widespread recognition for its diverse lineup of performers, which includes nationally known comedians featured on Netflix, Comedy Central, and more. While you kick back and enjoy the show, you’ll have the opportunity to sample Bohemian Biergarten’s famous European-style cuisine and beverage menu to enhance the experience. If you’re planning a night out in Denver, check out Denver Comedy Works for an unforgettable performance. Comedy Works is one of the most beloved comedy venues in our state, and has been a part of the Denver community for more than 30 years. Whether you’re hoping to catch a specific comedian or you’d like to discover up-and-coming new talent, this independent club is a favorite of comedy enthusiasts. To take a look at the schedule and purchase your ticket, please visit this site. Longmont and the nearby cities offer excellent entertainment, and the comedy clubs mentioned here could be a fun way to leave stress behind as you laugh the night away. If you’re looking for a new apartment home that’s convenient to Longmont’s bustling downtown district, stop by VerraWest for a tour. Our modern community is equipped with an abundance of luxury touches, and our open-concept floor plans are designed to maximize your living space. When you’re ready to explore our beautiful community, please get in touch with our leasing team.